Pinot Gris Archives - Write for Wine: It's Wine O'Clock Somewhere!Write for Wine: It's Wine O'Clock Somewhere! 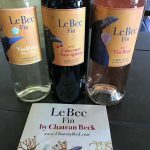 Le Bec Fin by Chateau Beck is a new side project by Jean Claude Beck, the winemaker of The Woodhouse Wine Estates in Woodinville. We first met Jean Claude when he arrived at Woodhouse about ten years ago to lead their wine production, and we were immediately charmed and impressed. 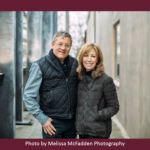 Big news in Washington state’s wine industry: Michael and Lauri Corliss, the owners of Corliss Estate, Tranche Cellars and Secret Squirrel as well as three vineyards in Walla Walla, Red Mountain and Yakima, have purchased San Juan Vineyards in Friday Harbor. The sale is effective on Feb. 1. The state’s record for its wine grape harvest was crushed in 2016, according to a report released by the Washington State Wine Commission. The commission’s Annual Grape Production Report showed 2016 had the biggest wine grape harvest in the state’s history: the 2016 harvest totaled 270,000 tons, a 22-percent increase over 2015 and easily surpassing the previous record harvest of 227,000 tons in 2014. The largest growth came from Cabernet Sauvignon, with a 23,700-ton increase. 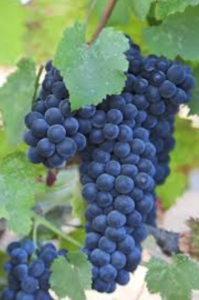 This also meant that Cab Sauv was the top-producing variety grown in the state — 71,100 tons or 26% of the total. Merlot was ranked second, at 48,400 tons or 18% of the total. Syrah came in third of the reds, at 21,300 tons, followed by Cab Franc at 4,300. Malbec rounded off the top five reds at 2,700. Overall, red varieties accounted for 58% of the total production, compared to 51% in 2015. 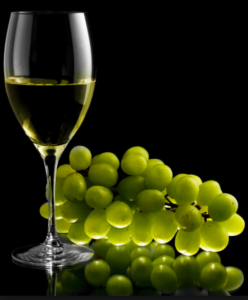 Chardonnay was the top white grape and third overall at 45,000 tons, while Riesling was right behind it at 41,300 tons. Sauvignon Blanc was ranked third among whites, trailing with 9,800 tons, followed by Pinot Gris at 8,700 and Gewurtztraminer at 2,600. 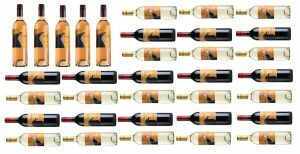 A sign of further growth — there are now more than 900 winery licenses in Washington State. Further details are available in Annual Grape Production Report. Say what? Wine & Lemon Meringue? Summer sippers are bountiful in Oregon wine country, as we recently discovered at #WBC12, the Wine Bloggers Conference held this year in Portland. During last week’s heat wave, we were refreshed by crisp Sauvignon Blanc, Pinot Gris, Pinot Blanc and several Rosés. 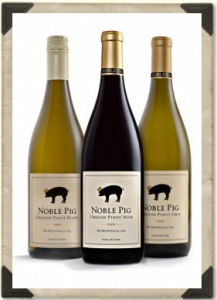 Our smart and creative hostess Cathy Pollak, a winemaker and well-known food-and-wine blogger, poured a taste of her 2009 Pinot Gris Noble Pig. First, we swirled and sipped this soft, lush white wine with a creamy finish. Then came a surprise. Cathy poured what seemed to be about a teaspoon of lemon olive oil into a paper cup, instructed us to toss it into our mouths (like a shot) and then have another sip of the Pinot Gris. She said it would taste like lemon meringue pie. Say what? Wine transforming to the taste of lemon meringue pie? Is this a good thing? It turns out the answer is a resounding yes! Cathy offered up many other unusual pairings, but that one was a standout to me. Be sure to read her food blog for more creative adventures. And yes, we recommend the wine too. As mentioned, we will be writing several posts about our two days in Carlton, in addition to sharing our experiences at the Wine Bloggers Conference 2012. We hope you come back often to read them.